I think I’ve hit every stop on the rustic vintage train for Christmas this year. 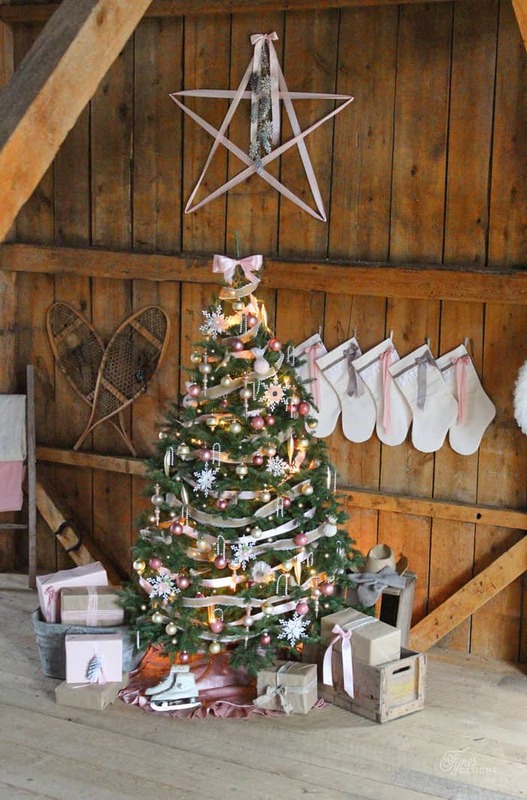 First I brought you a Rustic Christmas Cabin, a DIY Vintage Sled, a birch bark inspired Christmas Centrepiece, and knock off Enamelware Christmas tree pots, everything is red, traditional, and dosed with plaid, and a dash of rust. 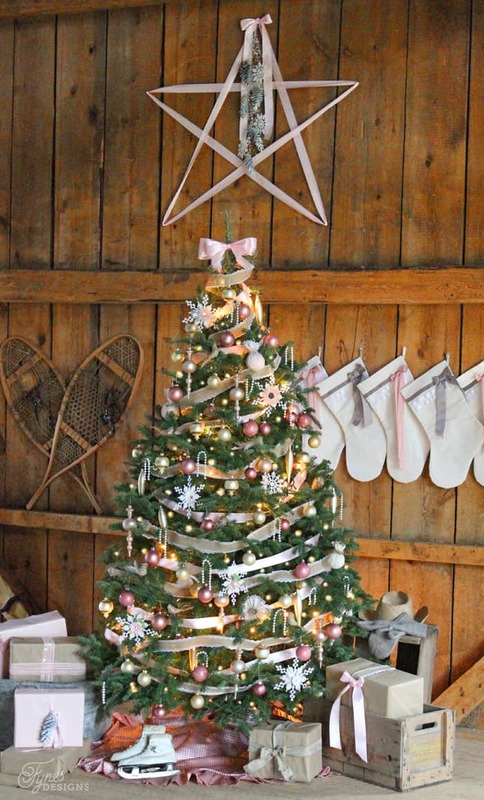 So when putting together this barn Christmas I thought I’d step away from the lumberjack, true north theme and throw in a pop of pink, and a dangle of pearls. The whole vision for this Christmas stated when I came across so vintage pink bulbs at a thrift shop, and then adding in a few new items. 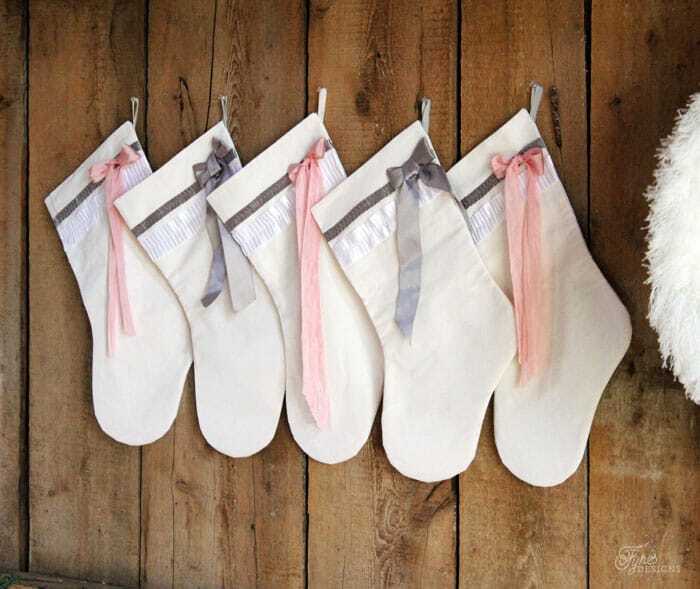 You can create stockings of your own, by following this pattern. 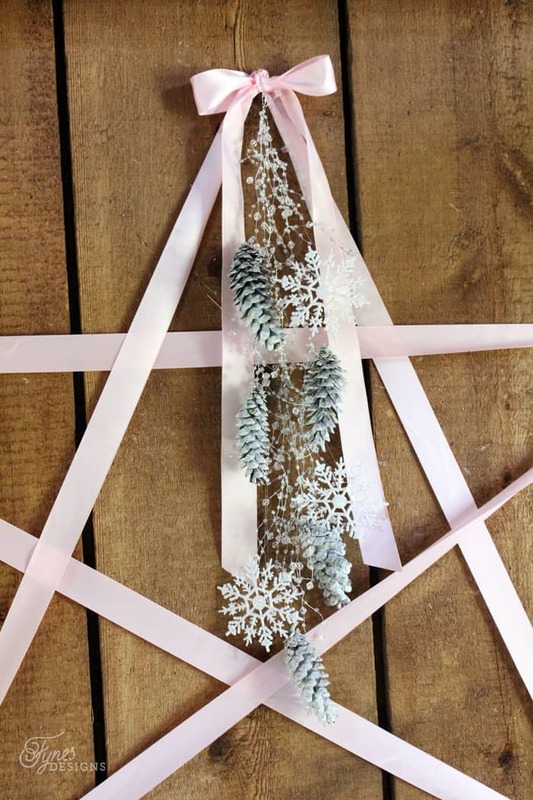 Pinecones, glittered snowflakes are dangled from a Darice bead garland, isn’t it a pretty touch?! I love using snowflakes in my Christmas decorations, adding a few little details to these Darice 6.5″ snowflakes really made them unique. 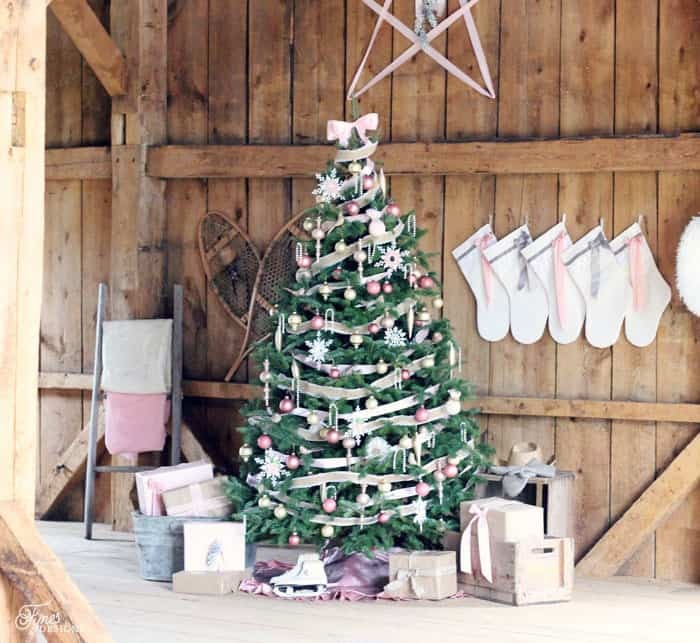 The May Arts Ribbon burlap with a lace trim and pink satin really set the stage for the Feminine Rustic Christmas Tree. Do you have your tree decorated? 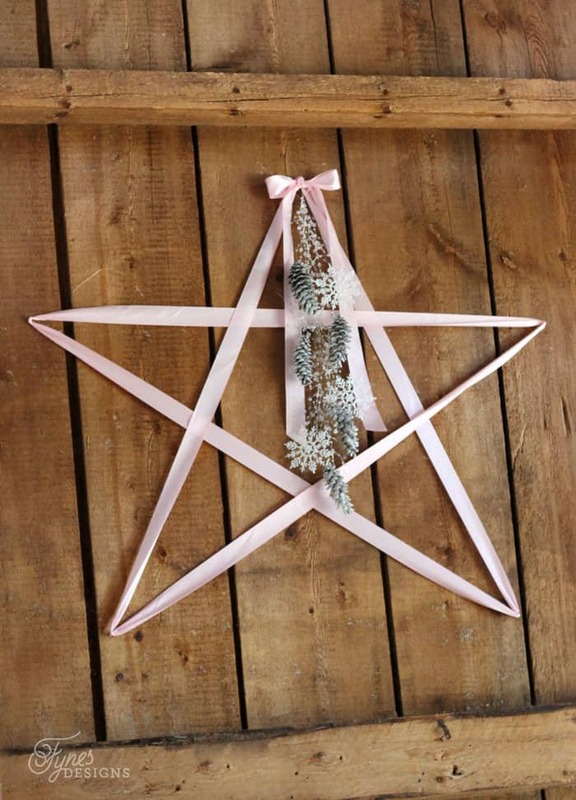 What style do you use in your holiday decorating? We aren’t having a tree this year since the littlest one would just pull it over so I am living vicariously through others! Your tree is so beautiful. 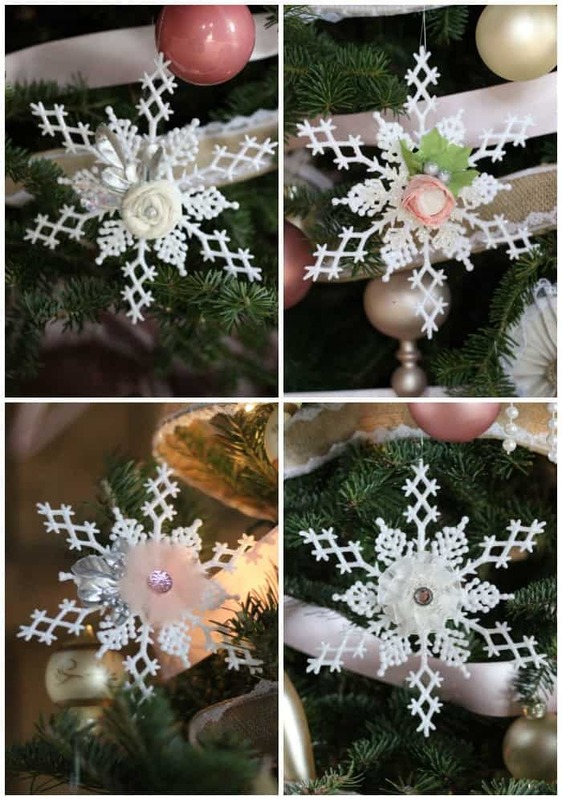 The ribbon stay and all the snowflakes are wonderful touches! 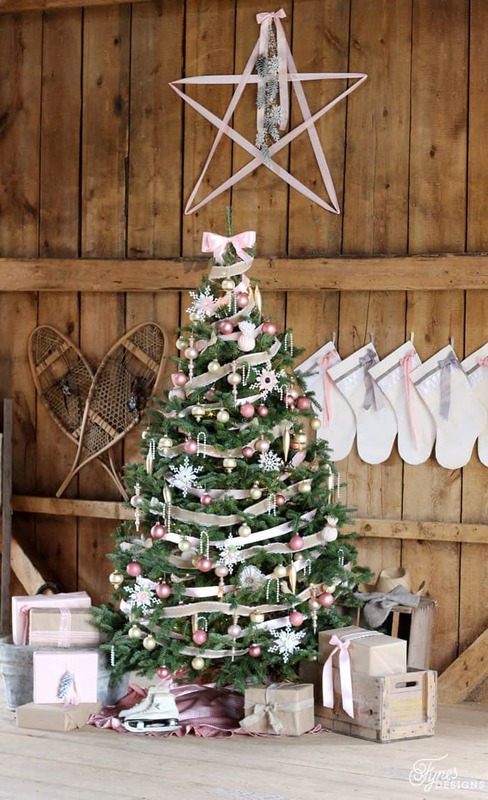 PS – I especially love the star above the tree – very cool!